Can you provide the weapons that will allow the monotrons to rise up and conquer the enemy? 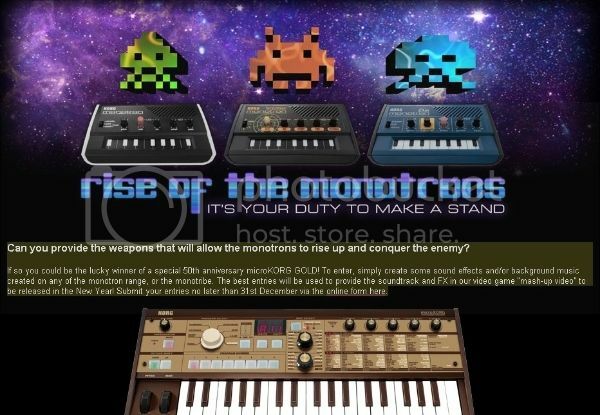 If so you could be the lucky winner of a special 50th anniversary microKORG GOLD! To enter, simply create some sound effects and/or background music created on any of the monotron range, or the monotribe. The best entries will be used to provide the soundtrack and FX in our video game “mash-up video” to be released in the New Year!